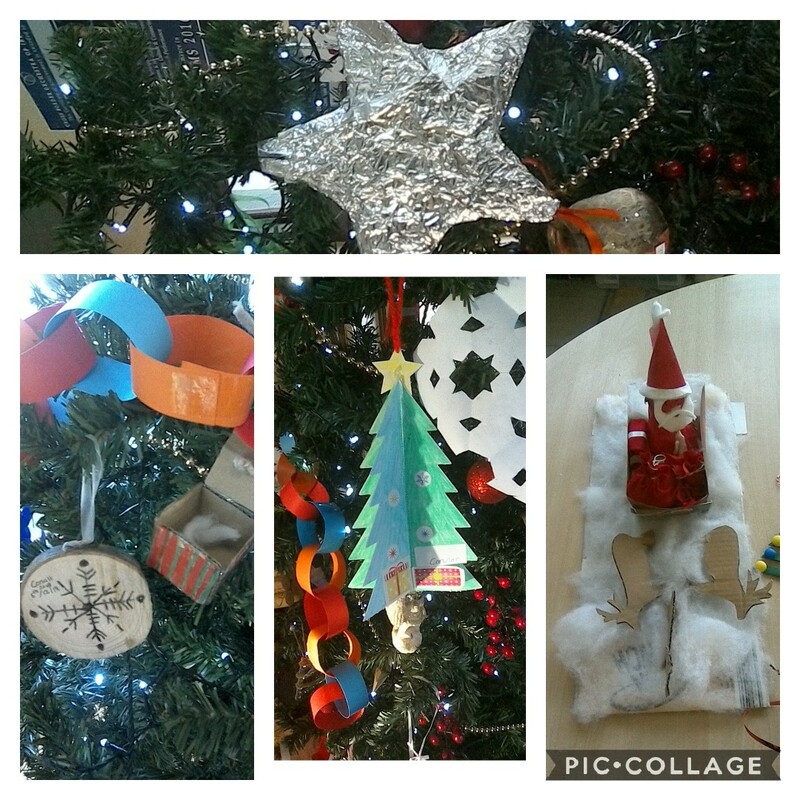 All of our visitors in December admired our Christmas Tree! 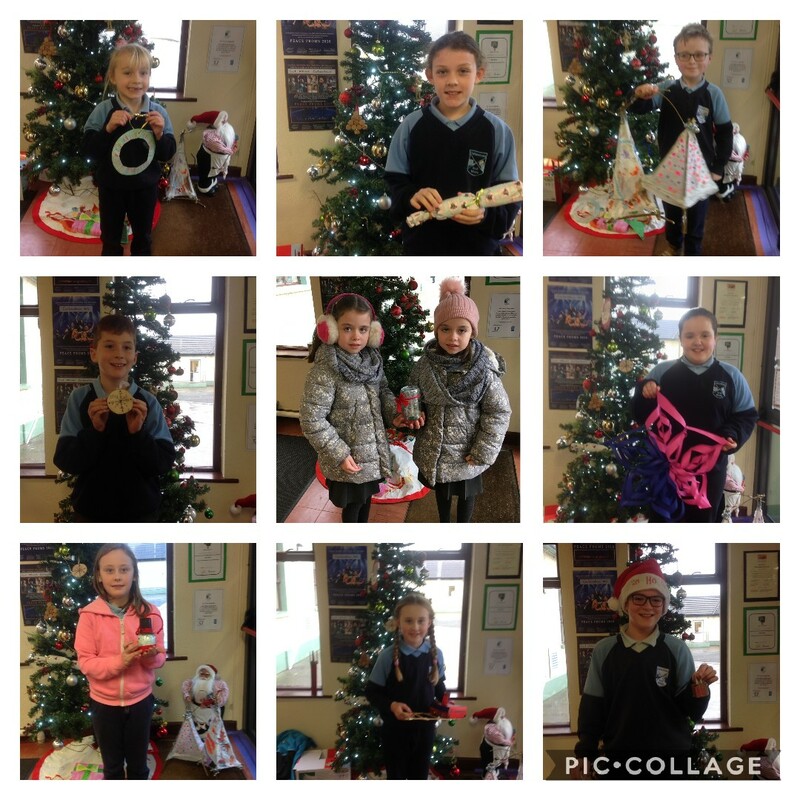 The children were challenged to re-use ordinary items from around the home to create Christmas decorations. 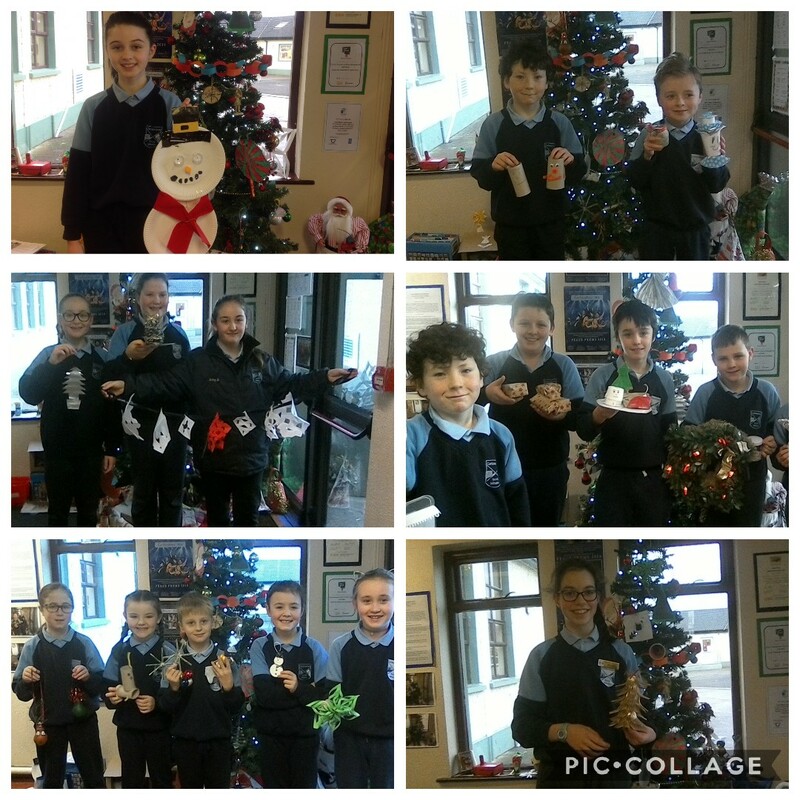 They showed us all how to reduce waste by making very creative decorations from everyday household materials. Well done to all the pupils for all the effort they put in. 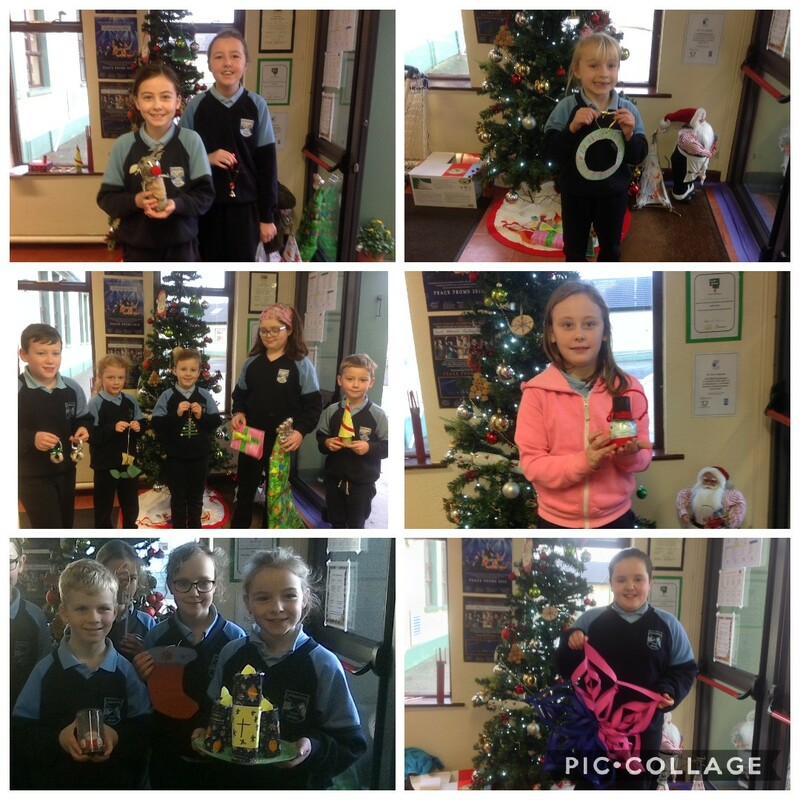 It was very difficult to pick our winners!